Raise your hand if you've ever bought your child a toy because they NEEDED it, only to lose interest after a few days. Okay, I'm being generous, a few hours... We've all been there, staring at a box full of toys (rather a box full of wasted money) that your Little Monster no longer has any interest in. The only purpose they serve is to clutter your home, because a) you cannot throw them out, they are nearly new b) you cannot give them away, unless you want a meltdown, so, what do you do!? There is nothing more frustrating than a cluttered toy room, living room, bedroom and bathroom filled with toys that are never acknowledged. Every time I see a dormant toy I can't help but think of Toy Story and how sad the toys are to no longer be fulfilling their purpose. Fortunately, Lil Monster Box gives toys a new lease on life when one child has moved on. 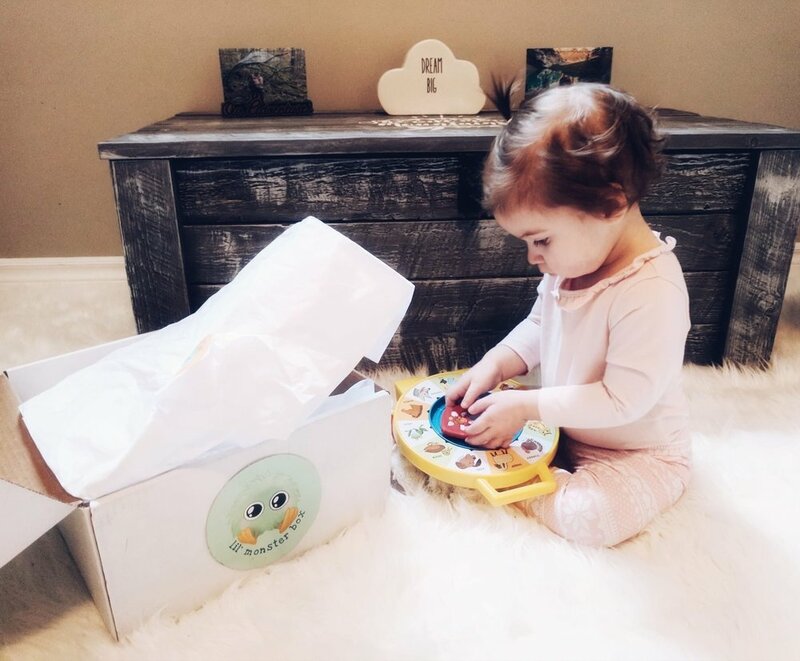 Lil Monster Box is a monthly subscription of toys that are child tested and approved. The toys in these boxes are educational as well as entertaining. So, what makes these different than other subscription boxes? What is the difference between buying toys at the store, and having your child become uninterested? YOU CAN SEND THEM BACK! Yep, you read that correctly, you can send them back, and easily, with the prepaid return slip. No meltdown - because new toys are on their way. No clutter - because the toys are returned. No waste - because the toys are recycled. You can't ask for more! But wait, there is more: every box has a theme accompanied by a lesson plan to help get the most out of your Lil Monster Box and, my most favorite surprise is a Lil Monster plush to open once the box is returned. Subscribe today at www.lilmonsterbox.com receive 10% off your first Lil Monster Box using code: TOYS. Follow them on Instagram, tag your photos & videos of your LMB for a chance to be featured!